Welcome to XYZ’s China Blog Series, dedicated to our loyal supporters in China. Read this post in Chinese on our new Chinese Blog. When you think of the #XYZsquad, you probably picture them drawing huge crowds at events like SXSW in Austin with their signature style. 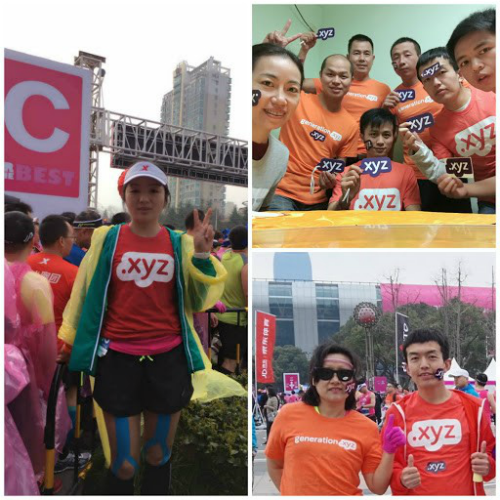 This past weekend, however, they took a break from their well known street performing to run 42 km in the Wuxi Marathon and spread the word about .xyz in Wuxi, China. The marathon featured 30,000 runners and attracted over 170,000 spectators, who came from around the world to see the event. This isn’t the #XYZsquad’s first time generating buzz about .xyz in China, though, as they previously provided entertainment at World Hosting Days in Beijing, where our CEO Daniel Negari was a keynote speaker, a featured member on the roundtable discussion panel, and was interviewed by newg.TV. “Every marathon that I have participated in has felt different from the others, but running this marthon for .xyz felt especially different. It’s a challenge to run while also letting as many people as possible know about .xyz, but the XYZsquad suit is very eye-catching so people cheered and applauded any time they saw me. Because this run was especially difficult, I found it to be a fun challenge. 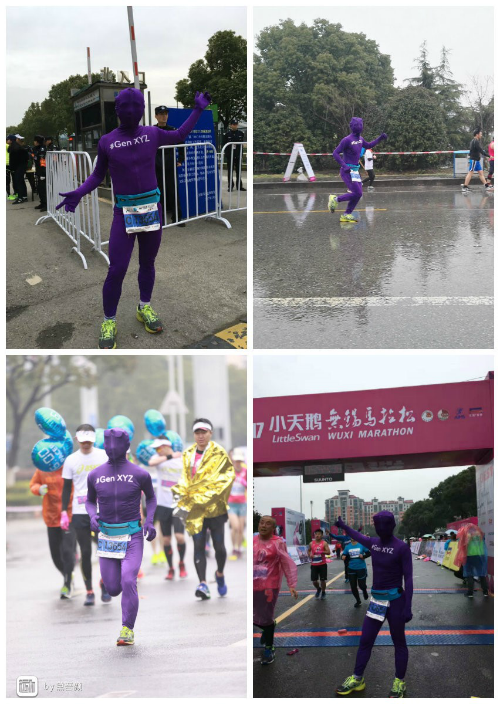 And above all, it was well worth doing it to support .xyz.” Li Shubiao, marathon runner and .xyz supporter. Events like the Wuxi Marathon and World Hosting Days are just a taste of things to come as we gear up to get the next generation of internet users in China online with their own .xyz domains. Stay tuned to see where the #XYZsquad will pop up next! Next Post » Check out the #XYZsquad on TV at SXSW 2017!